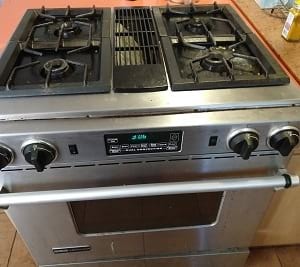 Dec 17, 2018 Thank you so much for repairing the oven timer. I hooked it up and it's working well. Appliance Timers is the best! Jan 08, 2018 The control arrived yesterday. I put it in last night. Oh My what a difference. It is fantastic. I can read the time and the temperature now. Never have been able to read the time or temp before. It was so dim. What a great repair. Oven heats up, burners work. It is a new appliance. The oven got to 350 deg F and stayed there. Yea. Just like it is supposed to. If you ever need a reference let me know. Nov 07, 2017 Timer repair was done very well and everything works great. Jan 29, 2016 Thank you for repairing my oven timer. I’ve installed it and it seems to be working perfectly...good as new. Total cost was about $260, but that includes the temperature probe that I replaced, which made no difference. The cost to replace the oven would have been around $1500, so I’m a happy camper!